You must make reservations at least 5 minutes in advance of the time at Gaetano's Ristorante. Family owned and operated for 16 years, Zagat rated, Awards:Best of Las Vegas, Best New Off Strip Restaurant, featuring Gourmet Northern Italian cuisine, with variety of homemade pasta's and ravioli's, veal, poultry, prime beef and seafood all cooked with the freshest of ingredients in a gourmet but home style way. Come in and dine where service, food and atmosphere are of utmost importance...With our beautiful dividers a variety of private room options are avaialble for parties up to 150 people. 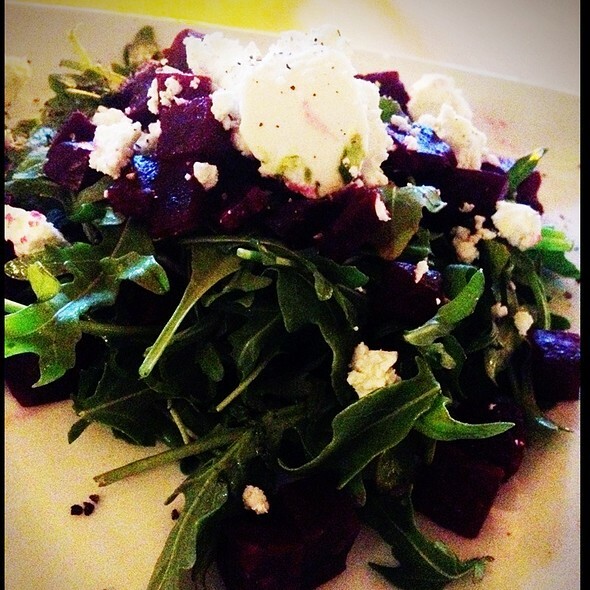 Thin slices of raw beef tenderloin served with arugula, shaved Parmesan cheese and drizzled with E.V.O.O. Vodka, Pallini Limoncello, fresh Lemon Juice, and homemade Vanilla Bean Syrup. When placing our orders, each of us were asked if we wanted soup or salad with our meal. We chose one or the other, assuming it was part of the meal like so many restaurants. We were shocked to learn when we got the bill that each of us were charged for an individual soup or salad in addition to the entree. The waiter really should have said something so we could have made informed choices. I've never been to a restaurant where soup or salad wasn't included in the cost of the dinner. That being said, the food was excellent, and the reservation through Open Table easy and efficient. The waiter took excellent care of me, providing me a vegan meal. However, I don't think we'll be back to visit based on the way we were charged. It's not fair to customers to withhold information on how the meal will be charged. I was embarrassed since I had recommended the place after searching for a local spot to eat. Excellent food. Excellent service. A great dining experience! One of my favorite restaurants!! Amazing food & great service, every time! Definitely worth the drive if you're staying on the strip!!! Always delicious food and the waitstaff is the best anywhere. My brother and his wife were passing through town, so we took them to our favorite restaurant, and they were very impressed! 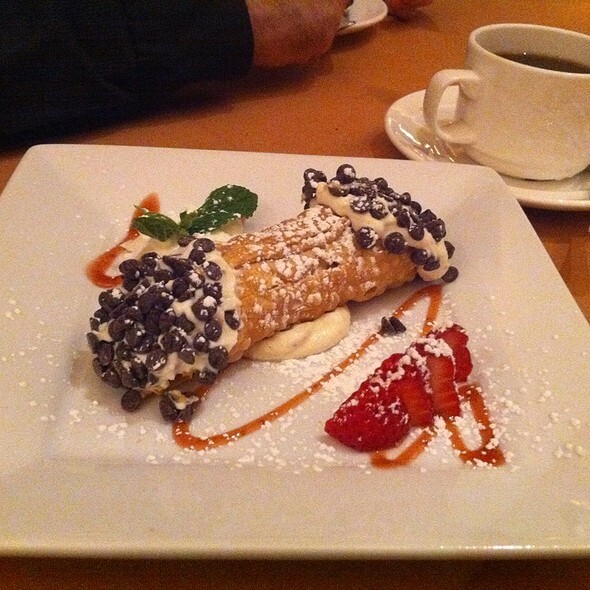 We had not been back to Gaetano’s in several year and for no particular reason. We went back and a very nice dinner. My husband had chicken piccata and I had their Sicilian Eggplant Parm which was prepared quite differently. We will definitely return and not wait for years. The food was very good and the ambiance was quite nice. The food is excellent and the staff is very friendly and attentive. Always outstanding in every way! This was our 2nd visit and the restaurant and service did not disappoint! Some excellent specials off menu as well. You don't have to go to The Strip to get excellent, elevated Italian food. Food excellent, service slow. Overall, we were pleased with the dining experience. We will dine there again. I’ve been a regular at Gaetano’s for many years now and have never been disappointed. 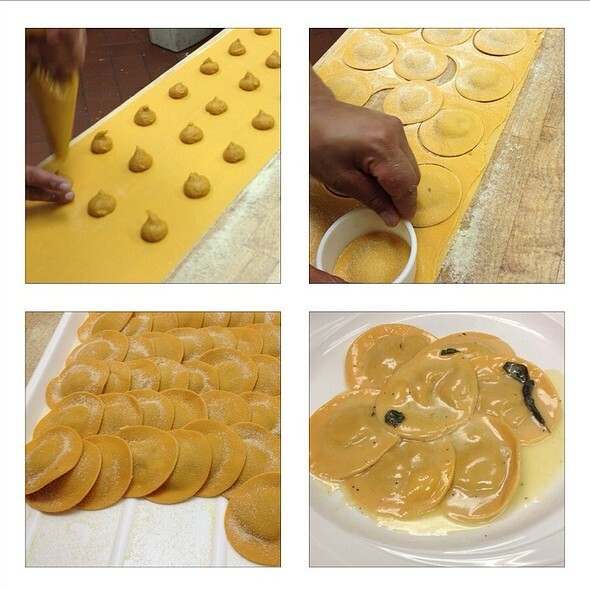 The room is attractive, the service is excellent, and the real Italian food is outstanding. They also have a nice little bar area with a tasty happy hour (5-7 I believe) menu and some creative cocktails. This is a family business and it is a nice family. Great week night dinner for two. Friendly, competent service. Quality ingredients and professional execution of the menu items we sampled. "insalata calda" was original and delicious. Veal and porcini mezza luna ravioli were outstanding. Best Italian in the valley! Outstanding every time we come! I think Jacob was the server’s name; he was great! The food was very tasty and the service was excellent. We have been dining at Gaetano's for almost 15 years now. We've never had a bad meal here! Jake was our server, was attentive to our needs but his presence was not overwhelming. Food is always amazing. 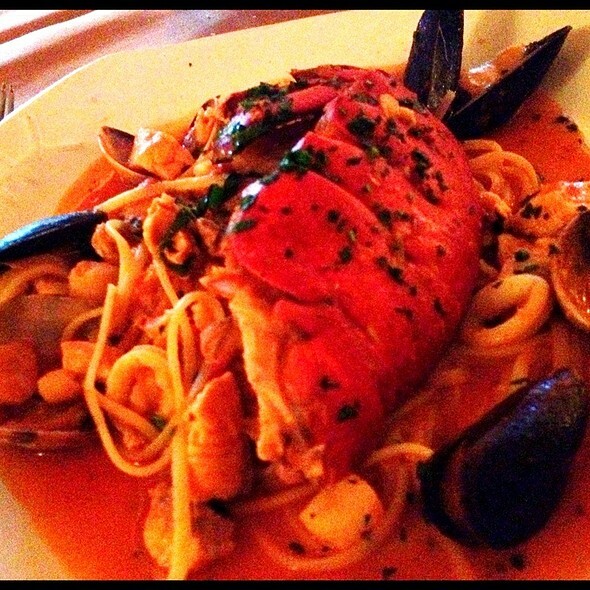 This quaint Italian restaurant offers great ambiance, superior service and very good food. The relaxed atmosphere is great, unlike on the Las Vegas Strip where they try to "herd" you out as quickly as possible. 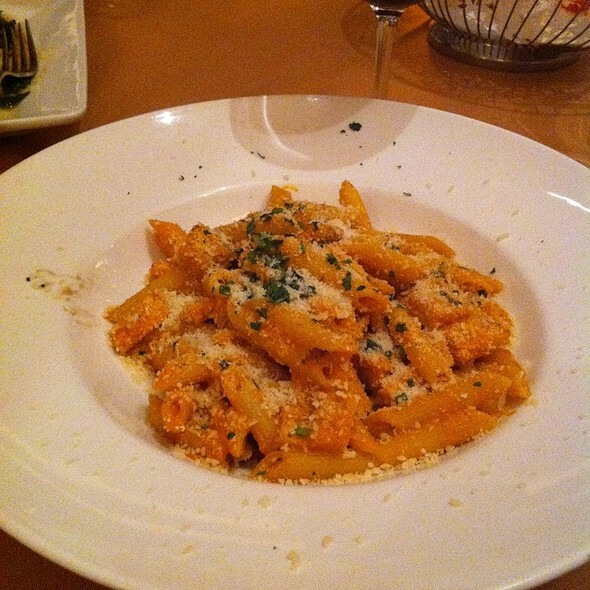 Attentive service, very good food and reasonable prices definitely make this a "must try" if you like Italian food. If you want a quiet dining experience, go elsewhere. There is nothing to absorb noise from the patrons, the hard floor, the hard walls or hard ceiling so the background sound level is too high for quiet conversation. My meal was not prepared as I requested and, when I brought this to the manager's attention (she came to the table before our waiter), she was not all amendable to correcting the problem. Only after I pushed the matter did she grudgingly offered to have the problem corrected. I have had better, friendlier service in a McDonald's. I don't know if they were having a bad night or not but I will never go back to find out. I love this restaurant!!! It has become our very favorite here is Las Vegas. The food is terrific, the homemade pasta mouth watering, the service is top notch and the over all ambiance is just perfect. I highly recommend. Second time at this restaurant and just as good as the first. It has become our favorite Italian restaurant. Really impressed. My boyfriend and I finally got a date away from the kids and this was the perfect place! Our waiter was funny! I wish we remembered his name. He made the experience even better! Excellent meal, excellent service. I would recommend this restaurant to others visiting Las Vegas..
We have visited Las Vegas annually during the past five years and have eaten at this restaurant three times. Based on our recent experience we will probably not eat there next year. Gaetano's had a bad night, poor service and mediocre food. For example, we were seated and waited 20 minutes to order our wine and then another 5 minutes for the waiter to return and explain that they didn't have any clean wine glasses. We finally got our food, but it wasn't worth waiting for. Our experience is always first rate. The ambiance and service are welcoming but the food always keeps us coming back. A great special occasion as well as everyday place. Always love coming here with friends and family. The experience is always amazing! Great food and atmosphere. We asked for our food not come out until we finished our cocktails but it came out about 10 minutes after we ordered. Our server did not let the kitchen know. Server forgot to put our wine on the bill. He seemed a bit rushed or distracted. Overall good experience. Hi. It was saturday the place was aboit 1/3 occupied we were seated immediately and greeted by 3 different people on the way to our table. Within a minute we were greeted by our waiter andy with water and menus. Beverages were ordered and the specials were explained. The bread came and we were given ample time to decide what to order. The entrees were excellent as was the wine. The deserts looked great but at our age most of the dinners were already going home. We have been here a number times and have never been dissappointed. A little pricey so we cant go as ofton as we would like. Excellent food and service! Great for all occasions! The food was excellent and the server and staff were great. Will definitely return. Food was excellent as usual! Food was great service was excellent atmosphere was just right. It was our first time at Gaetanos and it was great. Food, vino and service exceeded my expectations and we’ll be back. Ask for Jacob, he’s an awesome server! Got in on time with a reservation which was great. Felt a bit rushed. Food was very good. Waiter was a bit overwhelmed. Check was dropped off at the table before we were done eating our desert (poor form for this type of dining). Over all the food was great. A few fine touches needed. It was busy as it was valentines but the service needs improvement.